We live in a day and age when kids are doing less and less around the house. As they grow up and move into their own homes, they are clueless. I don’t know how many people I have met who have no idea how to cook basic meals, wash their clothes, or keep their dwellings clean on a regular basis, much less anything beyond those basics. Since we are a large family, chores are a necessity. Even if we had less kids, I would still expect my children to do chores because I don’t want them to grow up and not know how to take care of themselves. 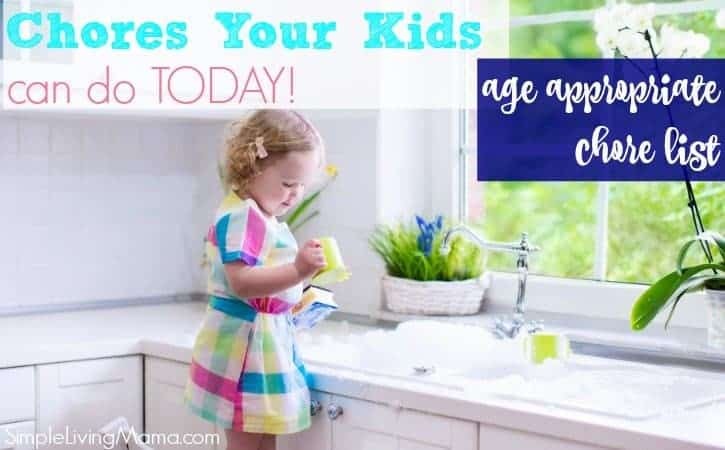 I decided to compile a list of age appropriate chores for kids not only for my own reference, but for others in case you’re wondering what to get your kids to start doing around the house. Don’t think your 2 and 3 year olds can get out of chores. If a child is capable of removing a toy from a bin, they are also capable of putting it back. Of course, you can’t expect perfect execution (and you won’t for several years for most chores), but you can begin the process of making your child aware that he needs to clean up after himself. 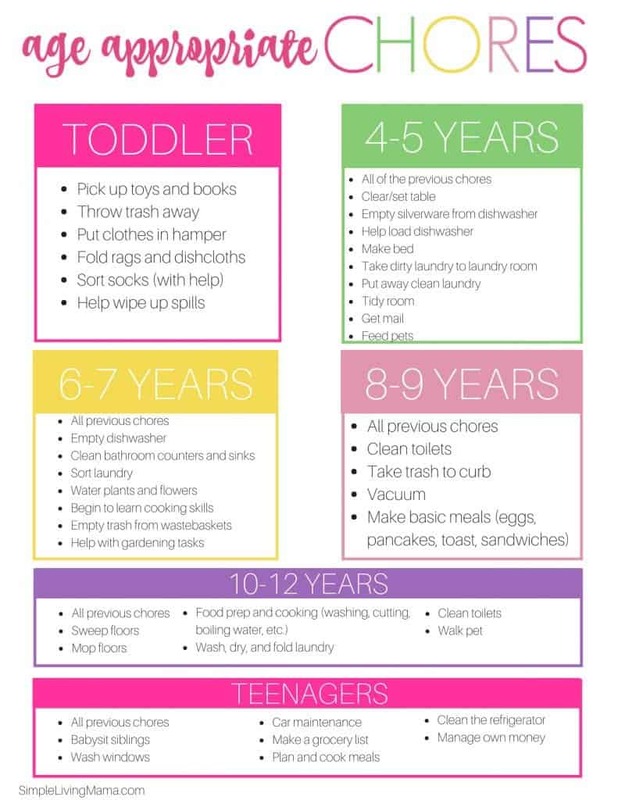 You can find a copy of this age appropriate chore list in the Homemaker’s Resource Library! It matches our Clean & Organized Home Binder perfectly! 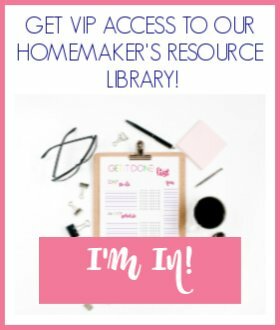 If you’ve read my post on large family chore systems, you know my kids have zones they are responsible for cleaning in addition to their daily routine, which includes making their beds, straightening their rooms, and cleaning up after themselves in the school room and living room. My oldest child is only 9 years old. Currently, my husband and I have decided that if our children complete all of their chores without giving us problems, they get $5 a week. Going above and beyond their typical chores will earn them more if we talk about it beforehand. As our children get older and take on more responsibility and want more expensive things, we will reevaluate the allowance situation. As it is right now, if a child wants a special toy and it’s not their birthday or Christmas, they have to earn it. Currently, our oldest daughter is working toward earning a pair of roller skates. Our oldest son likes to buy Minecraft skin packs. 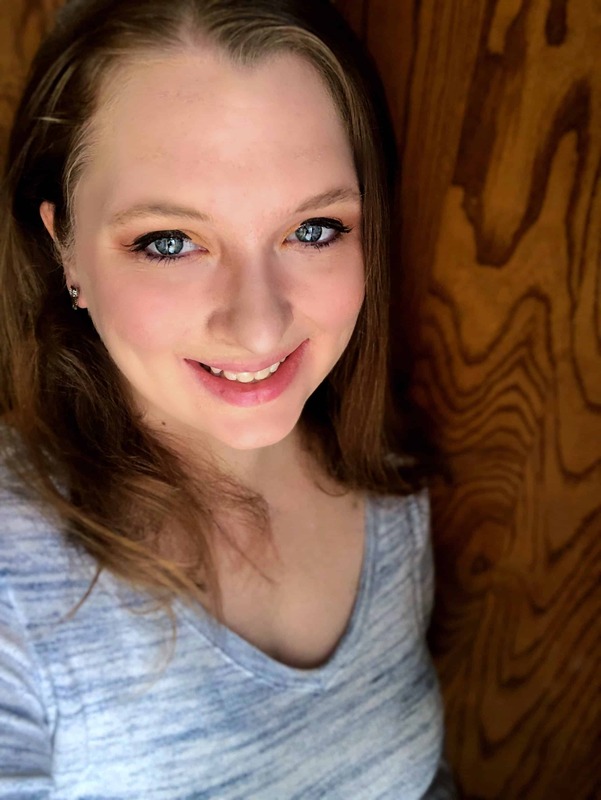 My husband and I set up savings accounts for each of the kids that are tied to our main checking account, so we can easily transfer the money to their accounts. When they want to make a purchase, we discuss what is in their savings account, and that that amount will be deducted from it. We will take cash out of the account so the child can make the purchase themselves (unless it’s on the game like I mentioned before). I feel like this helps because the kids actually feel like they are buying the item, we don’t have a ton of cash sitting around in the kids’ bedrooms, and the money in their accounts earns interest. How do you handle chores in your house? My toddler loves to help, when it suits her. Outside is another story. She loves to help to do everything outside, including raking leaves, gardening, picking strawberries and feeding the animals. That’s great she loves helping outside!